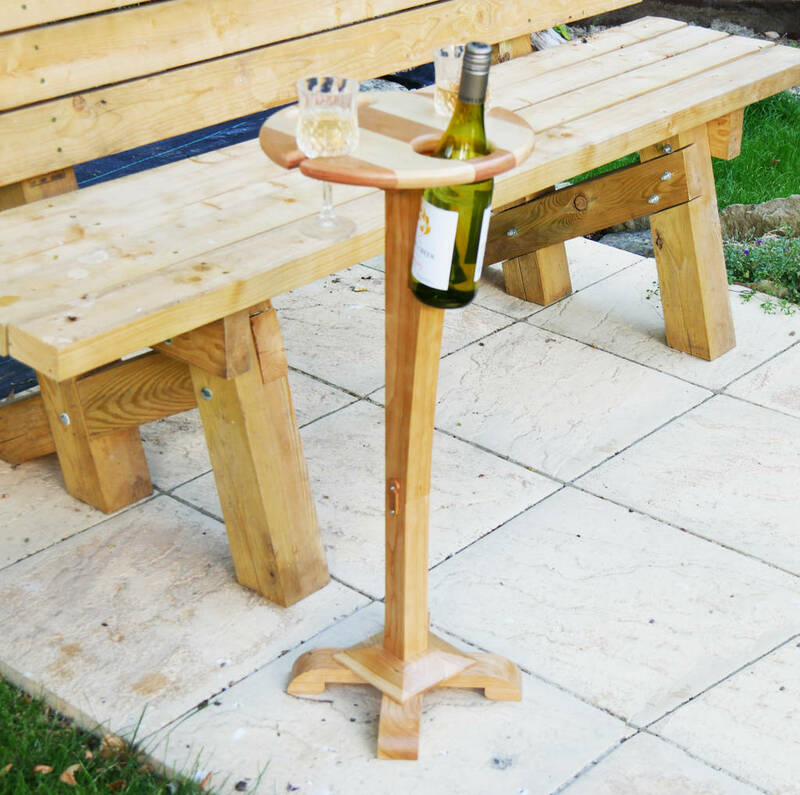 Now you can order our favourite product the Wine Picnic Table with a base. There will surely be days when you picnic with friends or family or perhaps just a cosy twosome with your partner. 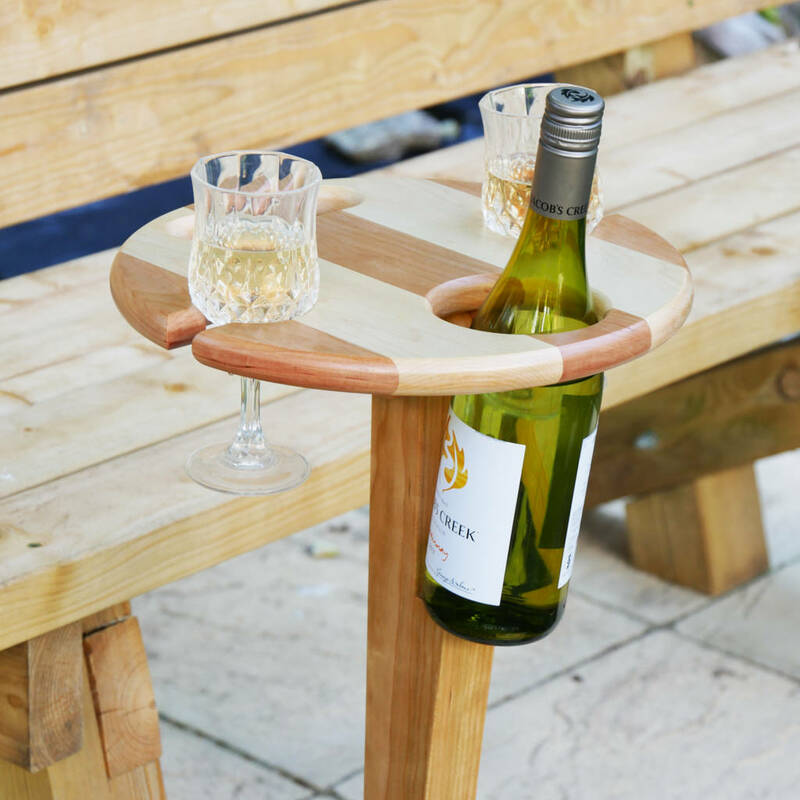 What could be better to compliment your picnic basket than a small table designed specifically for a cheeky bottle of wine and two glasses. And to make life that little bit easier, the table folds down and has a built-in carry handle. 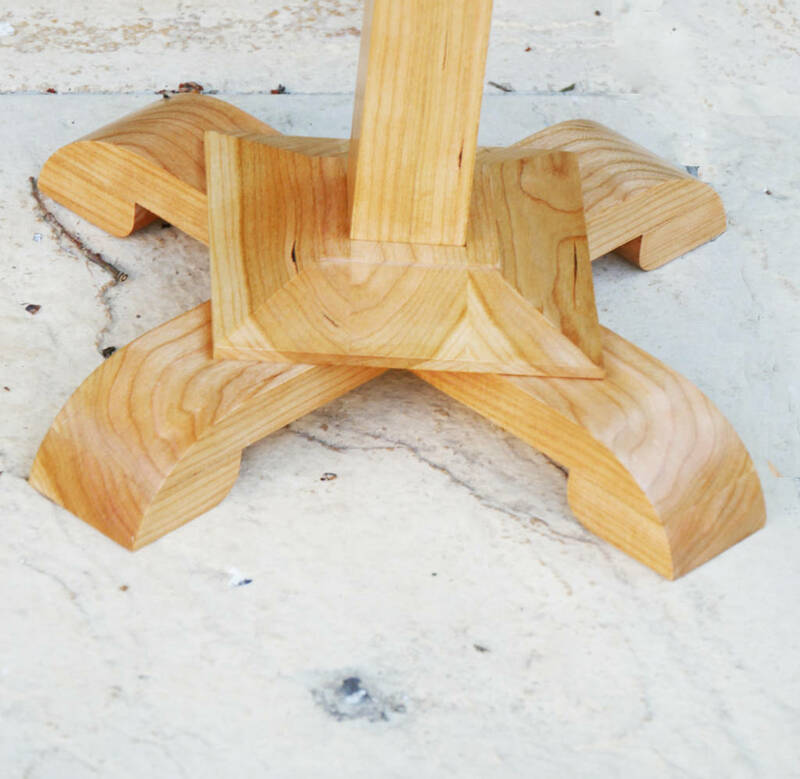 To use, simply remove the spike casing and push the spike into the ground and the table is ready to use. Now of course you can also stand the picnic table on the terrace or some other hard surface with the base instead of inserting the spike into the ground. Whenever the sun shines, whatever time of year, our thoughts inevitably turn to outdoors and making the most of the daylight hours and sunshine. The table top can be personalised with two lines of text, each line comprising up to 15 characters in length including spaces. See image for an example. 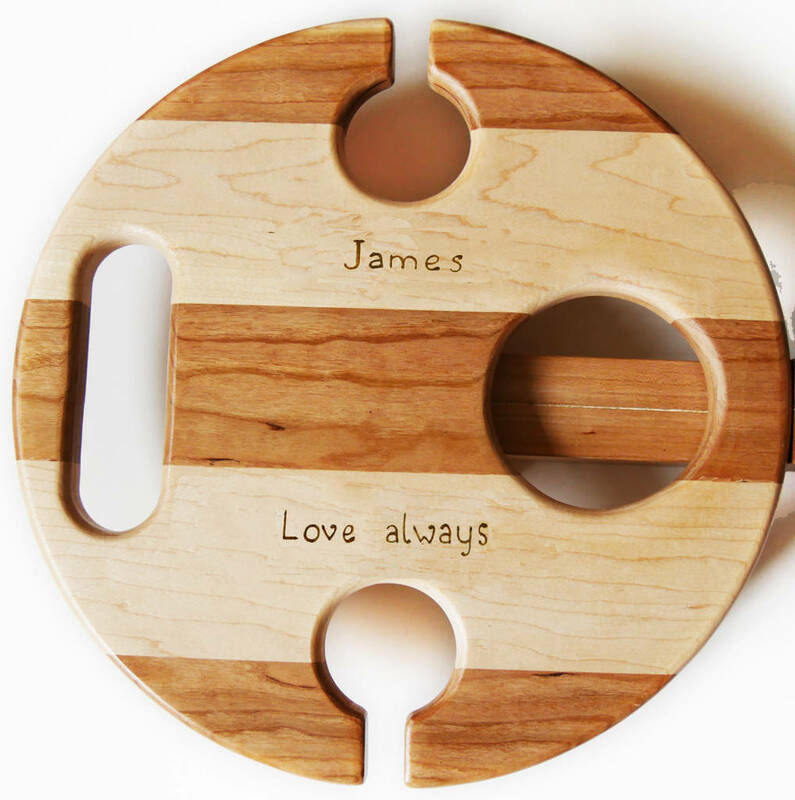 The personalisation is carried out using a pyrography pen to burn the lettering into the maple wood. If personalisation is required, please choose this option when ordering. 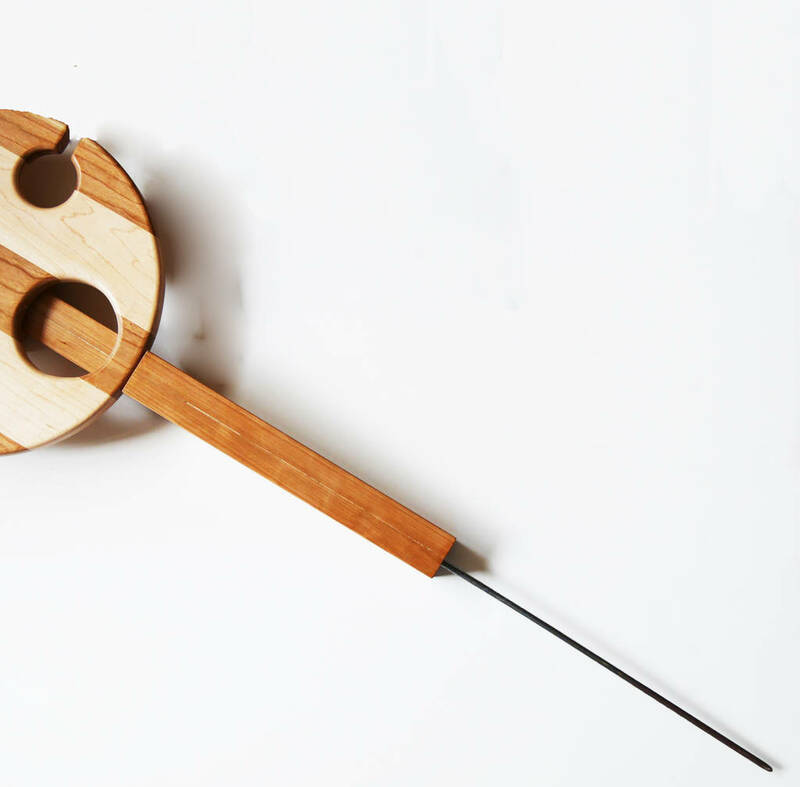 The table is made from a mix of contrasting maple and cherry woods and is designed to accept two standard sized wine glasses (5cm diameter) and a standard size red or white 75cl wine bottle (8.5cm diameter). The spike is made from steel. The wood is oiled and varnished so as to provide a protective coating. The table top is approximately 30.5cm diameter and the table height is 48cm when the spike is fully inserted into the ground. The table height is 77cm with the base. Please note that the best results will be achieved when the spike is fully inserted into the ground. Do not use excess force when the ground is hard or stony as this could result in the spike bending. 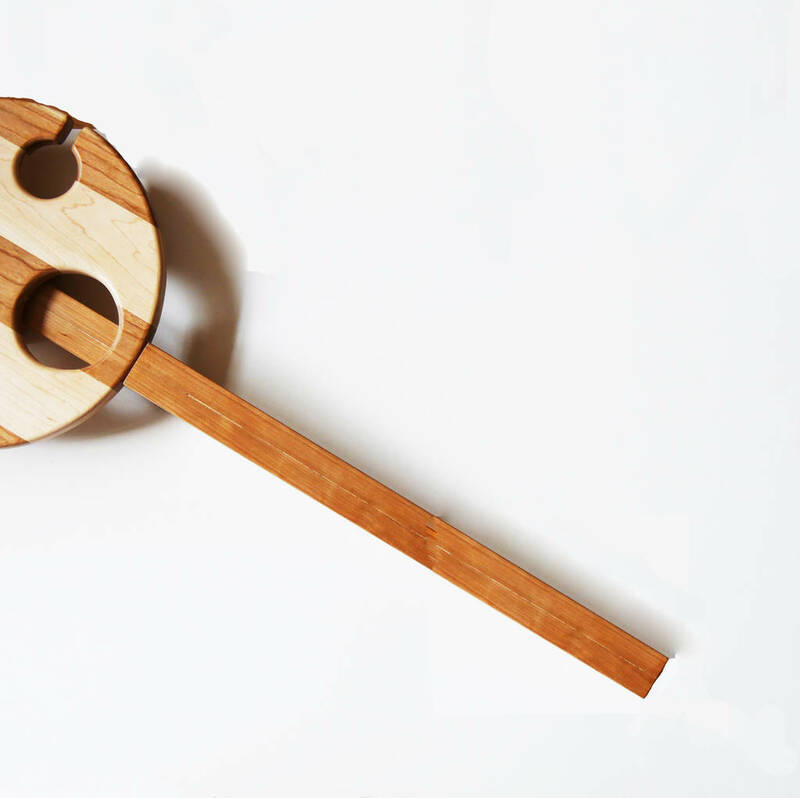 This product is dispatched to you by Cairn Wood Design.